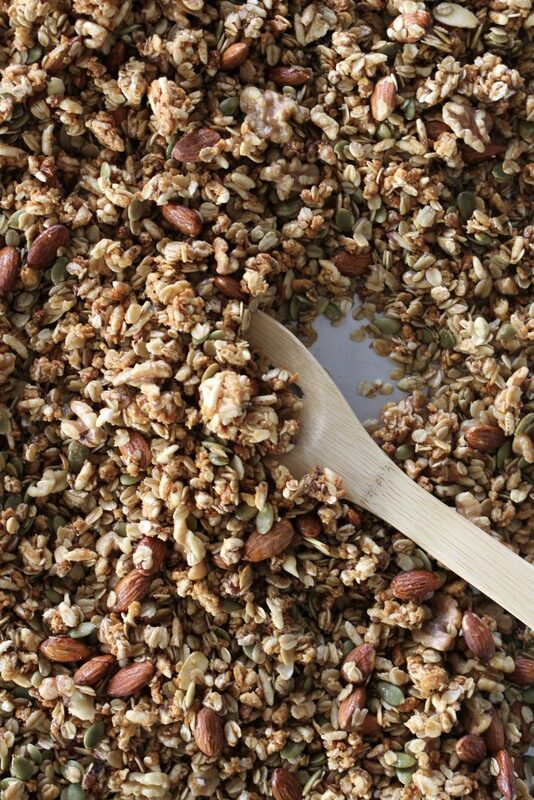 This recipe for simple granola will convince you to never buy granola again! 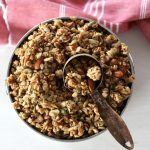 I’ll teach you How to make Granola in a few easy steps, easily adaptable to your favorite nuts and spices. I eat yogurt almost every morning. My favorite flavor for the past couple of years has been Chobani’s Dark Cherry Greek yogurt. I try to keep it on hand at all times in the fridge and love to top yogurt with a bit of homemade granola. Don’t you love the contrast of crunchy granola to creamy yogurt? I get on a roll and make granola for a while, and then run out and find myself staring at the granola in the cereal aisle wondering which will taste most like home made. 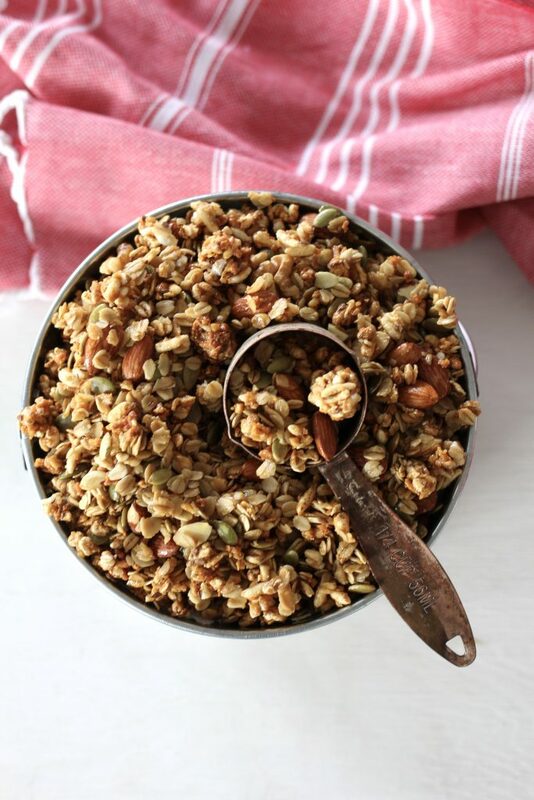 Once you learn how to make granola at home, the grocery store version never quite measures up! Making granola is simple. It’s a matter of mixing ingredients together either in a bowl or right on a baking pan, pouring honey and a bit of oil that has been heated onto the ingredients in a pan and baking for about an hour. That’s it! Why I ever let myself run out of homemade is a mystery to me (insert thinking emoji here). Why are there no emojis on blogposts?! This recipe is adapted from the Four Seasons Hotel in Beverly Hills, CA. I changed up the recipe and simplified it a bit so it’s quick and easy to throw a batch together. 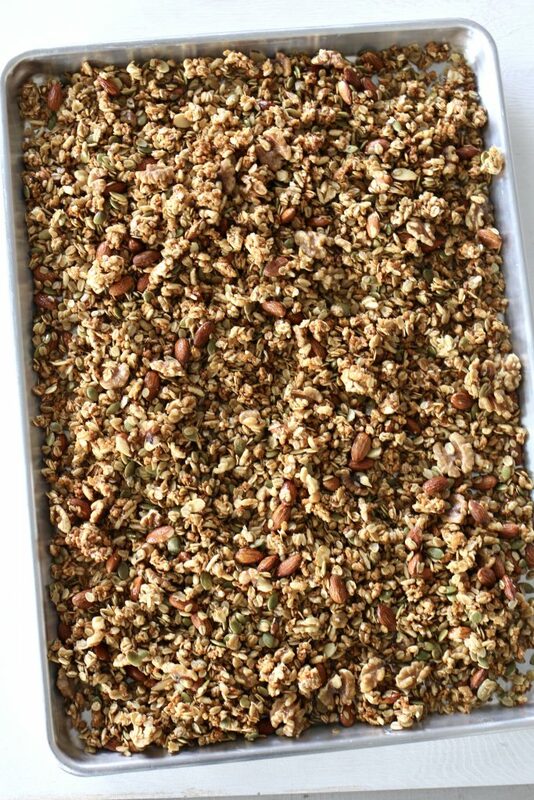 I use a pre made cereal that has lots of goodies included to help give my granola a little more depth. I like a granola that has several layers of flavors and textures ranging from mildly crunchy to an almost over the top crunch factor! This recipe yields about one and a half gallon size bags and keep well in the bags sealed tightly for about 2 weeks. Now that you have a basic recipe and know how to make granola at home, the flavor possibilities are endless! If you’re looking for a decadent granola treat try ABK’s Peanut Butter Granola! Mix all dry ingredients in a large bowl or onto two jelly roll pans. Set aside. In a saucepan bring honey and oil to a boil. Remove from heat and pour over granola and toss to coat evenly. 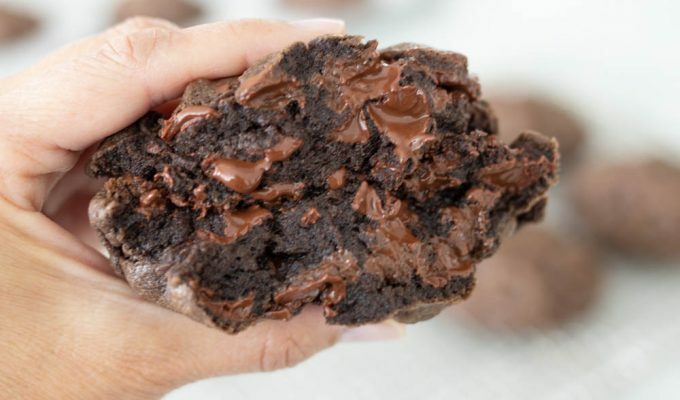 Pour into lightly greased baking pans. Bake until golden brown stirring about every 15 minutes. Watch granola carefully after about 45 minutes. If oven cooks hot, it may be finished cooking early. 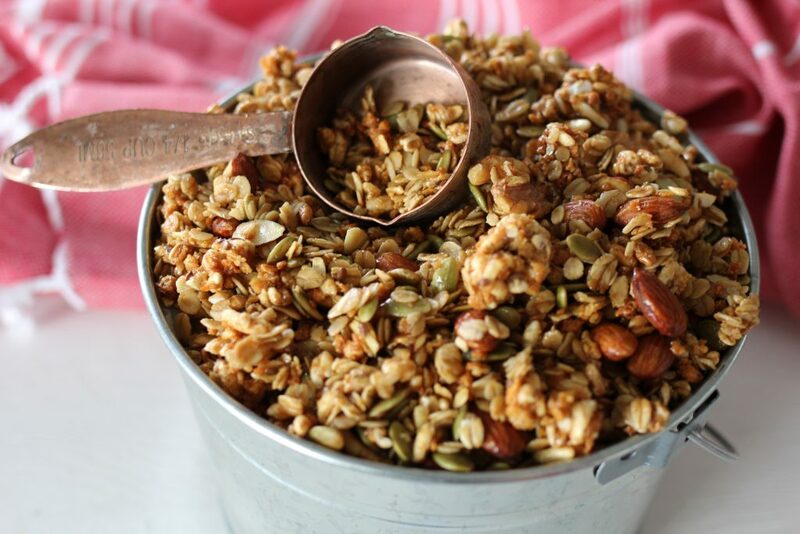 Remove granola when golden and dried. If using dried fruit, add after removing from oven and fold into cooked granola. Let cool completely and store in bags or tightly sealed container. Can you freeze the granola, since you said it lasts only about two weeks? Yes, granola can be frozen for up to three months. Pull it out of the freezer the night before and let it sit on the counter to thaw for breakfast. Sometimes dried fruit can get hard if frozen. You may want to add the dried fruit after you have thawed your granola. Give me some options for Nut Free. Is there a cereal to add that doesn’t have nuts that would work out? Hi Julie, you may add another cereal that is whole grain or use old fashioned oats. I also have a few other granola recipes that may work for you. Use the search bar on right column and enter Granola! I was wondering if you could substitute coconut oil in this recipe? I am pretty sure coconut oil will work, but I haven’t tried it. If you give it a try, let us know. Always great to hear feedback and any substitutions readers make!